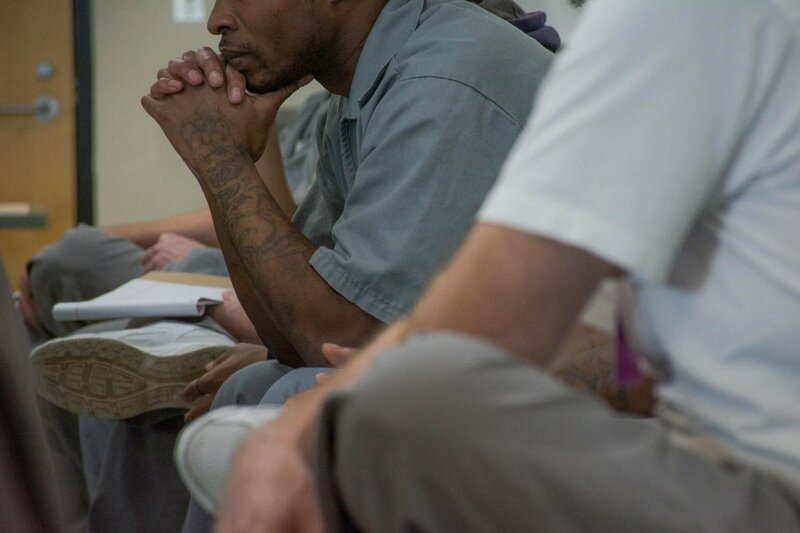 The purpose of this blog is to educate and empower those who have or had a loved one in prison. Raising awareness one story at a time. Why is Prison a Hidden Sentence? According to the US. Bureau of Justice Statistics (BJS) 6,851,000 people were incarcerated or on probation or parole in 2014. The prison issue here is that if each of those persons had just four family members or friends on the outside, that would mean there could be 27,404,000 people affected by having a loved one in the adult correction system. The hidden sentence is about those friends and family members on the outside. Chances are that someone you know has had a loved one incarcerated or that you are part of the 10% of the US population who has had a loved one in the prison system. Indirectly we are all affected, and if you have a loved one in prison you are probably doing the time even though you committed no crime. The sentence does not end once your loved one is released either. Depending on the type of release he or she may still need to deal with probation or parole which carries it’s own set of regulations. So the prison issue continues for an indeterminable about of time. As you will learn by reading the stories in this blog from people affected by the prison system, that you are not alone; the stories need to be told. Prison affects people from every walk of life and our society as a whole. By raising awareness we can begin to provide support for the families and friends of those in prison and raise awareness to the general population. When you have a loved one in prison, just like someone going through an illness, you cannot change their condition and you are not responsible for what is happening to them. However, you are feeling their pain and serving their sentence with them. It’s a feeling of helplessness where you want to do more, but it’s difficult because you cannot change their situation. So you are essentially serving the time with them, even though you are on the outside. I think it’s time to raise awareness for the silent group of people who are suffering because of unnecessary mass incarceration in the United States. It’s time to provide support to those that are supporting loved ones in prison. My hope is that one day we can all talk about loved ones in prison without feeling judged for crimes we are not responsible for. My hope is that one day there are advocates in the Courts to provide guidance and support to family and friends when their loved one is taken away. My hope is that one day we have more rehabilitation and less incarceration. My hope is that one day those with loved ones in prison are not serving a hidden sentence. Get the information you need from this site. Reading the stories will help you get through the visits and help you communicate better with your loved ones. Go to Your Voice to share your story and to read about others experiences. I have recently read your blog and it is clear that we both have the same vision, helping the incarcerated. I am part of the team that created the Independence Program, an extremely inexpensive correspondence course which teaches someone how to own and operate their own business. As you can see by visiting our website Independenceprogram.training, our focus is on re-entry. As you are aware, many who are incarcerated are business people who were selling the wrong product. In addition, after being incarcerated it is difficult for anyone to get a well paying job. This program helps the student develop a full business plan so that they can provide a good, legal income for themselves and their loved ones. We are looking for your assistance in spreading the word about the Independence Program. We understand that compensation is appropriate and will, of course, compensate you for anyone you refer who becomes a student. I would be happy to send you more detailed information about the Independence Program so that you can determine if this is a program that you would like to support.